The James Sedgwick Distillery was founded in 1886 by the pioneer and captain of the clipper "Undine", who sailed into Table Bay in 1850. There he settled and setup J. Sedgwick & Co. and in 1886 purchased a distillery in Wellington. 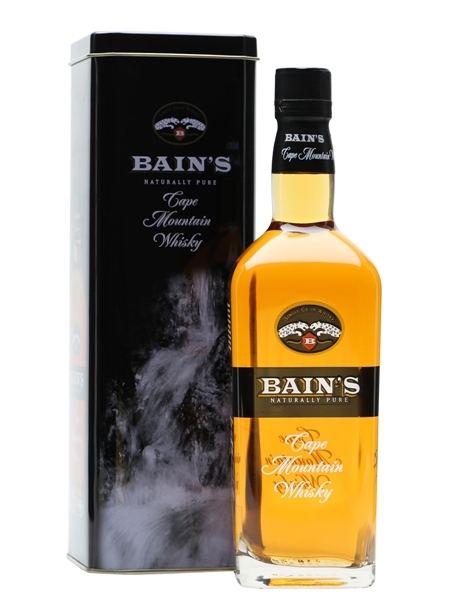 Currently owned by the Distell Group, Bain's Cape Mountain Grain (~€40) is named after the pioneer pass builder, Andrew Geddes Bain. The whisky is double matured in first fill bourbon barrels and bottled at 43% ABV.